Like its ancestor, the MS-09RII Rick Dom II, the Dreissen was designed with high speed ground combat in mind. Although larger than the Dom the new alloys used in its construction make the Dreissen much lighter thus more agile. One significant difference however is that the Dreissen was designed with melee combat in mind, although with the three barrel handguns mounted in its arms it proved to be a versatile suit. Although intended for ground combat the Dreissen was used both on Earth and in space. 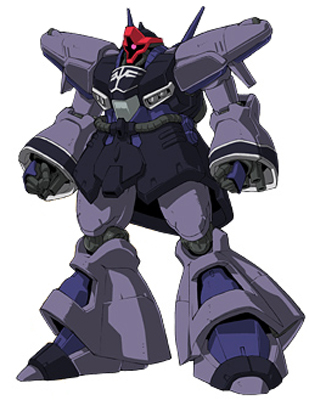 The Sleeves would modify their Dreissen mobile suit by creating armament holsters that can be mounted on a tri-blade rack in place of the tri-blade. These holsters are used to carry weapons such as heat sabers or a new giant bazooka.